The American mountain goat is one of the most elusive and least familiar species of hoofed mammals in North America. Confined to the remote and rugged mountains of the western United States and Canada, these extraordinary mountaineers are seldom seen or encountered, even by those who patiently study them. 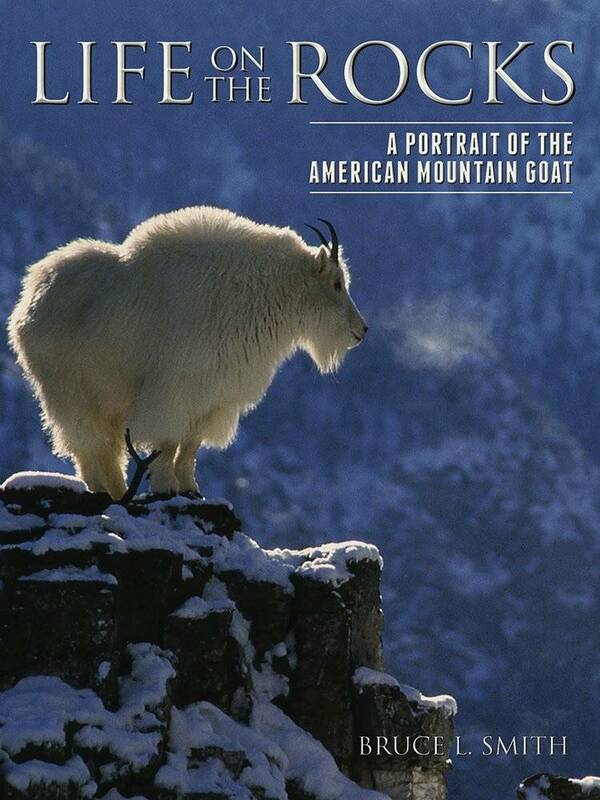 Life on the Rocks offers an intimate portrayal of this remarkable animal through the eyes and lens of field biologist and photographer Bruce Smith.Color photographs and accounts of Smith's personal experiences living in Montana's Selway-Bitterroot Wilderness Area accompany descriptions of the American mountain goat's natural history. Smith explores their treacherous habitat, which spans the perilous cliffs and crags of the Rocky, Cascade, and Coast mountain ranges. The physical and behavioral adaptations of these alpine athletes enable them to survive a host of dangers, including six-month-long winters, scarce food sources, thunderous avalanches, social strife, and predators like wolves, bears, lions, wolverines, and eagles. Smith also details the challenges these animals face as their territory is threatened by expanding motorized access, industrial activities, and a warming climate. Life on the Rocks showcases the elegance and charm of this little-known creature, thriving in some of North America's harshest wilderness. 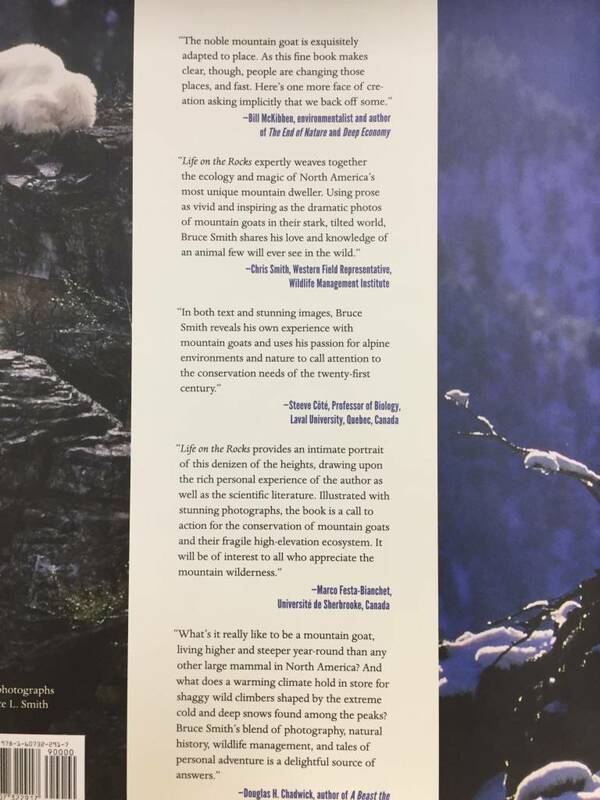 Smith's volume will appeal to wildlife enthusiasts, wildland travelers, and conservationists interested in the future of the American mountain goat.